Tony had just gotten back from the Tetons after a week of perfect weather. 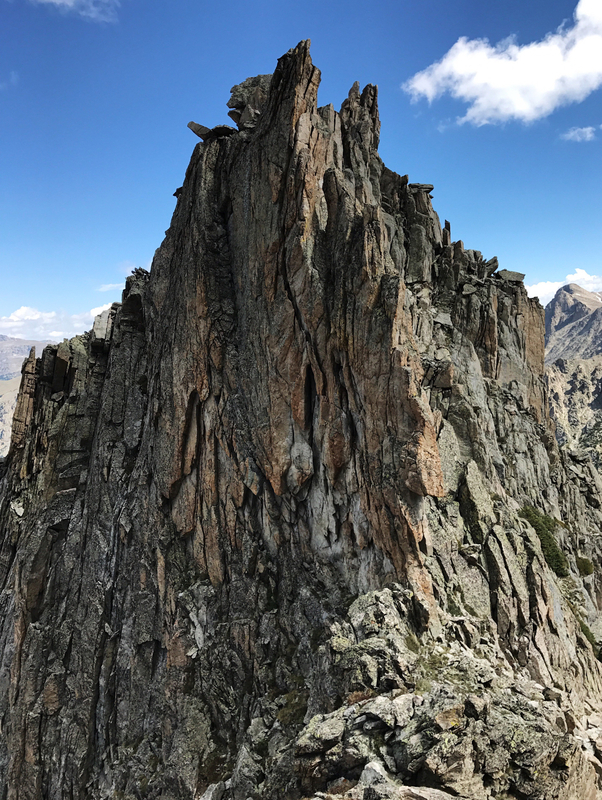 He’d enjoyed a fruitful stretch of high-alpine exploration in near-ideal conditions. 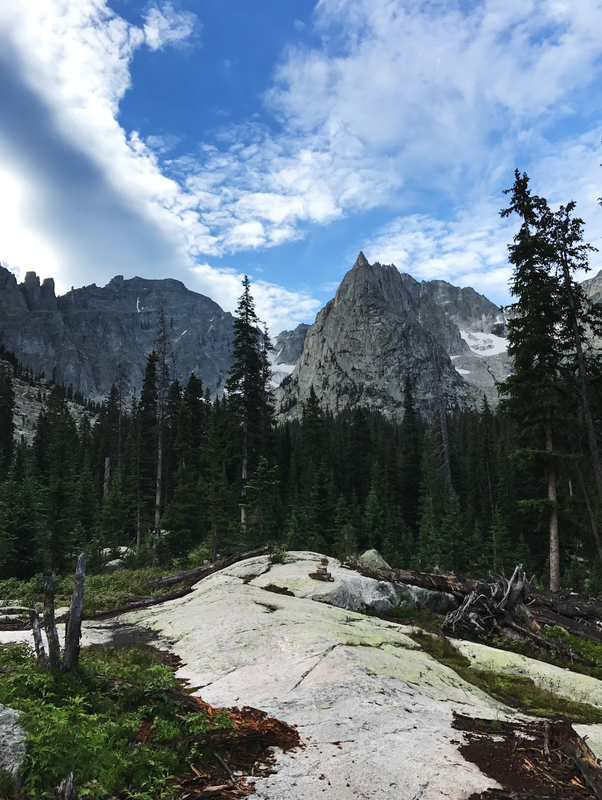 By contrast, the skies in the Front Range of Colorado had been much more temperamental for the past 10 days. I had pretty much surrendered to the idea that the go-fast season was already over. Adding to that, I was leaving for Europe in less than a week for a full month. I couldn’t help but feel a little sad that summer in the Colorado alpine was already coming to an end with still so many of my intended local objectives yet to be completed. I genuinely love Colorado and for me nothing really beats roaming around the backyard developing further appreciation and knowledge for the place I call home. 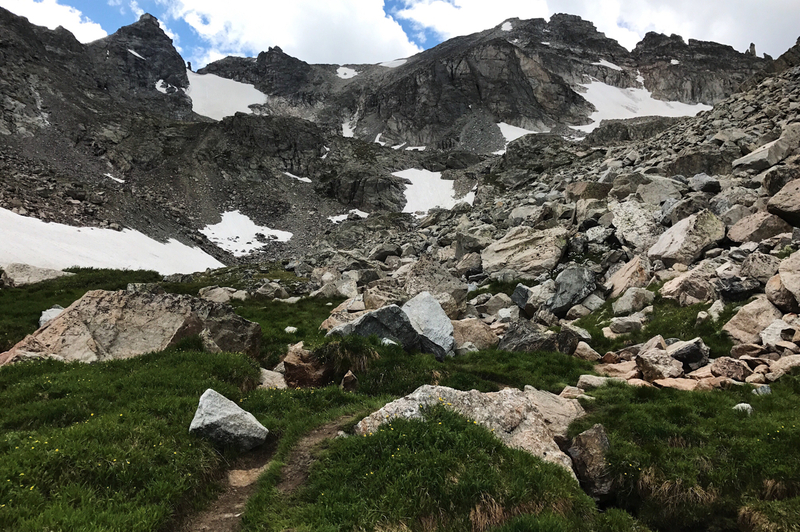 Just before leaving for France, we finally got a few days of cooperative forecasts, and I decided to sneak in one last quality outing in the Indian Peaks Wilderness, the Mohling Traverse. 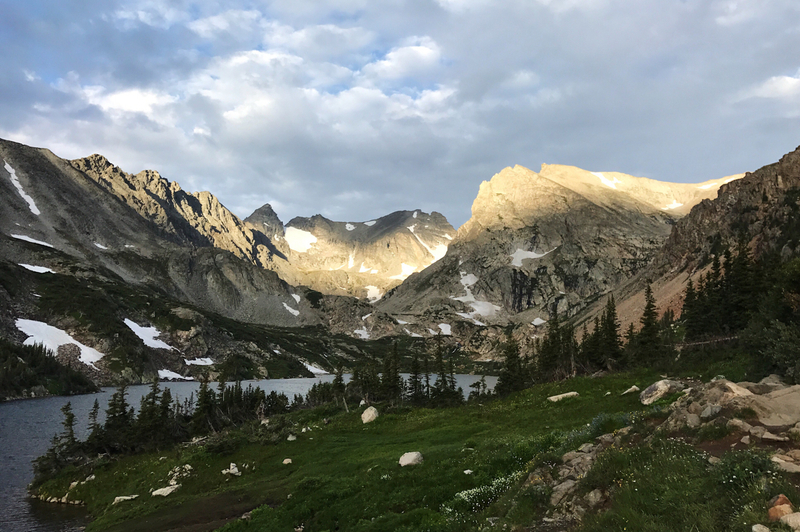 I got to the Long Lake trailhead at 7 a.m. I sat for a minute in the truck, applying Vaseline to my nostrils as I’ve dealt with chronic nose bleeds the past several years from the dry Colorado air. Steve Halvorsen, the official Hardrock doctor, tipped me off to this technique which has proved highly effective. More than the personal annoyance of bleeding everywhere, it’s also been nice to not freak people out returning to the truck all disheveled, with a blood-stained t-shirt. I begin the run with a gradual four-mile ascent up to Pawnee Pass. 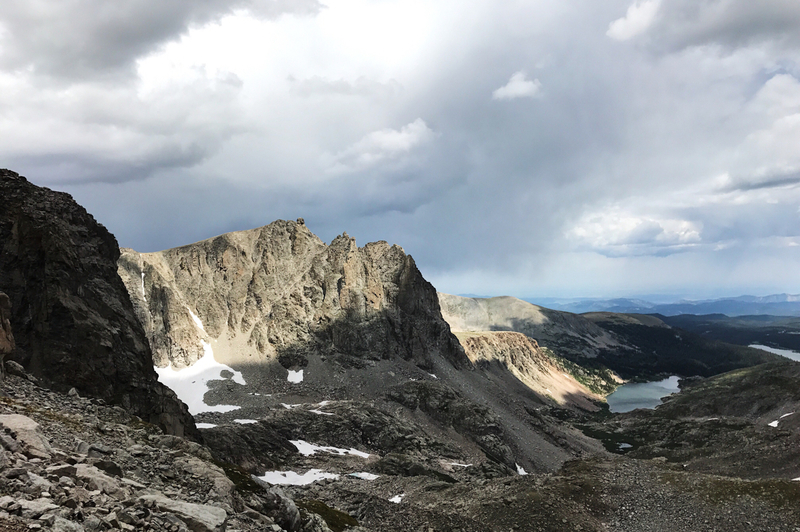 A few miles in, I make a quick detour to get an unencumbered view of Lake Isabelle. The morning sun is popping above the lake, beautifully highlighting the jagged ridgline on the Continental Divide. Dropping west over the pass has a distinctive remote, alpine feel. A sea of rock lined with dramatic towers flows down into the valley. The downhill singletrack peppered with rocks is fun and engaging. Entering the forest past Pawnee lake, my shoes and shorts get drenched from the dew-soaked brush. After another handful of miles, the trail veers north and I’m greeted to the mesmerizing view of Lone Eagle Peak. 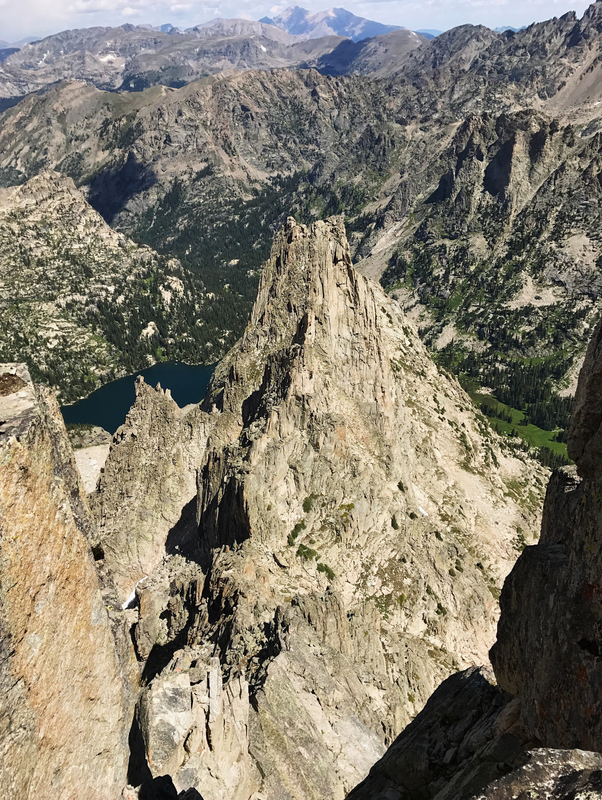 At 11,900 feet, Lone Eagle sits at the tail end of the ridge that makes up the Mohling Traverse. The true splendor of Lone Eagle is only revealed from its northern aspect. Even if I had turned around then, the run would already have been well worth the effort. I ascend Lone Eagle via Solo Flight, a solid 4th-class ramp that allows easy access to the airy summit. Looking south, I contemplate the route ahead. 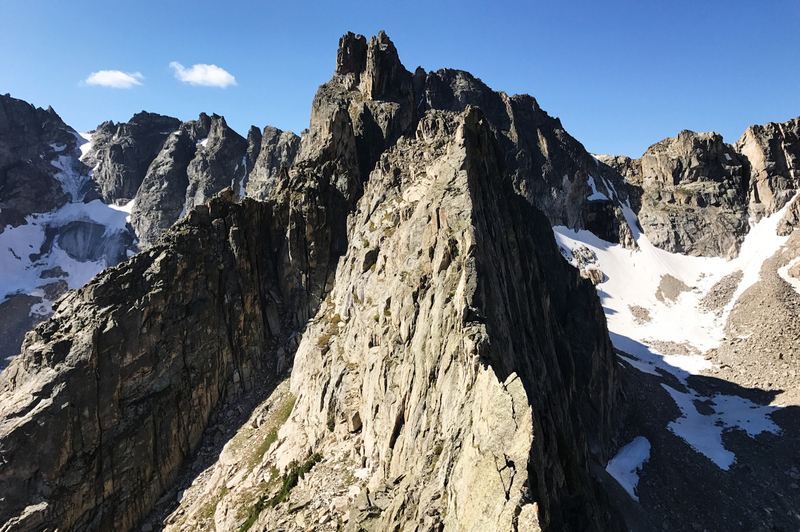 The Mohling Traverse has two main obstacles, Limbo and Iroquois, a pair of broken-up towers that dominate the ridgeline. There’s a supposed low-5th-class route that weaves through this complex terrain. I approach the first difficulty on Limbo with a mix of excitement and slight apprehension for the unknown. The traverse is quite committing and sees little traffic throughout the season. There are no cairns and few indicators of others having been here before. The route is a mix of good scrambling interspersed with sections of steep wet moss and loose, sketchy rock. Navigating remote and difficult terrain alone is part of what makes routes like this so interesting. To play the game right requires more than just physical fitness and skill. It’s also demands acute mental focus. The appeal of moving fast is to explore and cover a lot of ground efficiently in a short amount of time. For me, though, the true reward lies not solely in the quantifiable, but also in the quality of the experience. An ideal outing combines both a demanding amount of physical effort with equally trying mental gymnastics. The Mohling Traverse delivered on all fronts and is a welcome addition to my backyard repertoire. Does summer feel like it’s coming to its end where you live? If so, have you had the adventures and experiences you were seeking this year? What does solo trail running and exploration mean to you? Can you share how it’s different, if at all, for you than running in a group? Ayr saline gel has also changed my life for dry conditions and hotel stays !! Joe, awesome photos and incredible adventure. I miss the easy access to Colorado I had once, hope to start returning to your wonderful state and mountains. The freedom of summer definitely feels like it’s fading fast but the weather seems to be just ramping up. Here’s to hoping for the continued warm weather! Great write up and photos, Joe! Thanks for sharing the experience with us. Thanks for this write up and those pictures are amazing!